On Friday, the 25th. 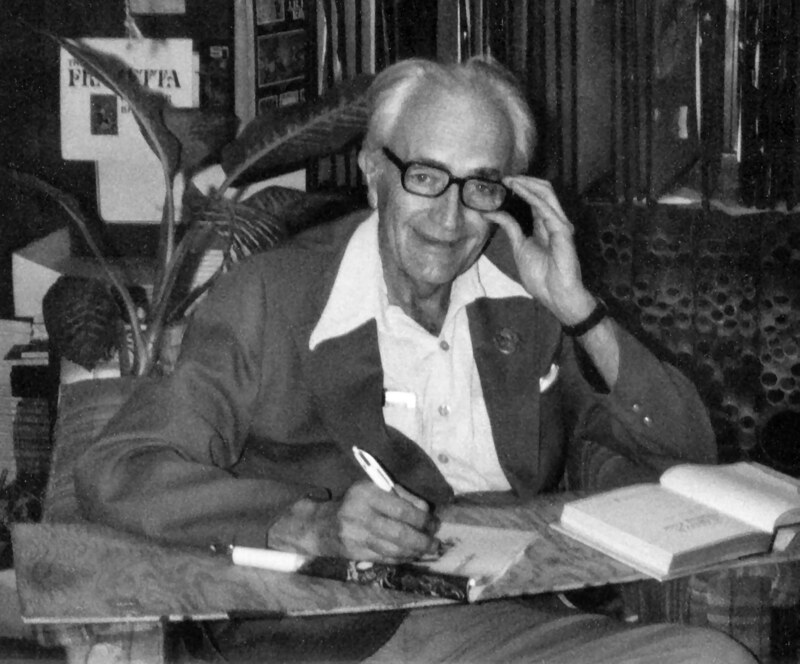 of February, 1977, Fritz Leiber was in the Los Angeles area preparing for a book-signing/autograph party the next afternoon at A Change of Hobbit SF Book Store in Westwood. As many of the authors of that time also did, he stopped in at radio station KPFK in North Hollywood to be interviewed, and to do a reading, on the Hour 25 Science Fiction Radio Program, hosted by Mike Hodel, and his co-host Mitchell Harding. The interview has been covered in the previous post, but I was also lucky enough to catch the reading, and to tape it also; and the audio tapes have survived over 33 years in storage to become the digital audio file you are about to enjoy. This entry was posted in Audio, Fiction, Flickr Updates, Fritz Leiber, Hour 25 SF Radio, Mike Hodel, MP3 Files, Our Lady of Darkness, Readings and tagged 1977, Audio, Fiction, Fritz Leiber, Hour 25, MP3, Our Lady of Darkness, Reading. Bookmark the permalink.